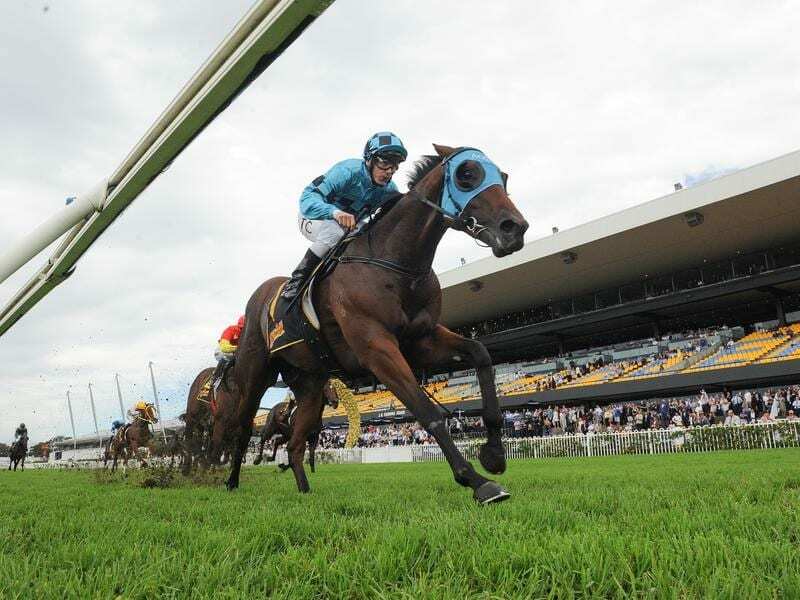 Bellevue Hill will back up in the ATC Sires’ Produce Stakes after winning at Rosehill. He missed a start in the Golden Slipper but Bellevue Hill will get another shot at a juvenile Group One race after outclassing his rivals in The Schweppervescence at Rosehill. The Gai Waterhouse and Adrian Bott-trained youngster was a Slipper emergency and didn’t make the final field but collected a consolation prize when he drew first blood in the opening race on Saturday’s Tancred Stakes program. Forty minutes later, Taikomochi gave the Randwick training partnership an early double when he outstayed his rivals to win the Neville Sellwood Stakes (2000m). While the stable has no set plan for Taikomochi, Bott confirmed Bellevue Hill would back up in the Group One ATC Sires’ Produce Stakes on the opening day of The Championships at Randwick provided he came through Saturday’s race without a hiccup. “That was the plan coming into today. We wanted to see a strong performance like that just to top him off for the Sires’ Produce,” Bott said. “He’s a fit horse and now we’ve seen today he’s versatile in all conditions so that might come in handy come next Saturday. Tim Clark took Bellevue Hill ($2.90 fav) straight to the front and he dictated from there, kicking clear in the straight and maintaining his advantage to the line to score by two lengths over Strasbourg ($6) with Fortress Command ($7.50) another length away. The jockey walked the track before Saturday’s meeting and was happy to stick close to the fence aboard Bellevue Hill. “Although he didn’t love that ground he got through it,” Clark said. Clark had a brief scare returning to scale when Bellevue Hill tipped him out of the saddle but he was unscathed and the horse was quickly brought to hand by the clerk of the course. Bott was thrilled to see Taikomochi win after the horse had made a fruitless trip to Albury and back when their Cup meeting was recently washed out. It forced a rejig of Taikomochi’s program and opened the door for the frontrunner to take his place at Rosehill. “We might have to look at our targets after that,” Bott said.